Watch my design process on how to design a logo step-by-step in Illustrator in what I’m calling a “DesignLapse”. This logo was designed for Allie O’Meara Photography. This logo was designed for The Sorted Nest. This logo was designed for Simply Love. This logo was designed for Plan & Record. 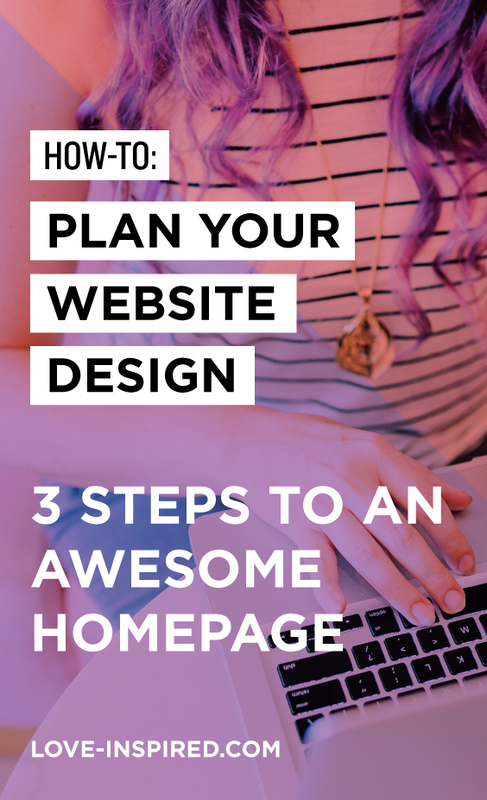 This week we’re starting a series on How to plan your website design to maximize user experience on your websites. Intentional ux (user experience) planning tutorial. 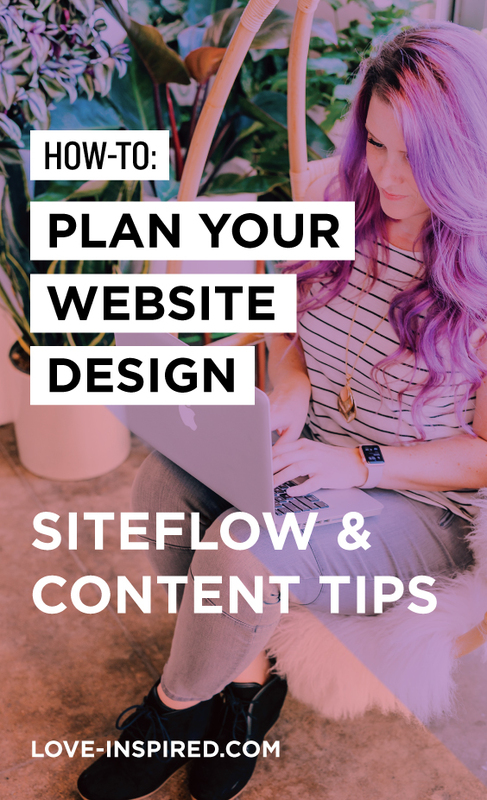 Hi there, I’m Cathy Olson of Love Inspired, love-inspired.com, and today I’m starting a really fun series and it’s about how to plan a website design and, specifically, today, I’m gonna be talking about siteflow. Now what is siteflow and why is it so important? And why do so many people ignore it? Oh my gosh. 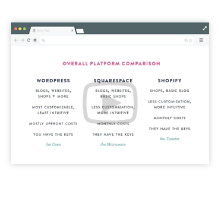 Siteflow is so important because we’re thinking about how people are actually using your website. I think so many people get caught up in the design, in the look, in the feel, that they forget the actual usability of a site and so many people are getting so flustered on the other side of it because they’re like, okay, where’s the button? I don’t know where to go, yes, it’s beautiful, but I can’t use this. For us, the people who are creating the websites, it’s our responsibility to make some amazing websites that people can actually use. I want you to actually take out a piece of paper and you are gonna sketch through the flow of your site. And in order to do that, really properly, we need to think about some objectives and this kind of just goes two ways, right? Objectives for you, how are you gonna get people to whatever your conversion goals are: sign up for your list, hire you, buy something from you, whatever your goals are, but you’re also wanting to think about their objectives and what their goals are and why they’re even on your site, and what do they need to know in order to hire you? That is my number one tip for you, is not to start with design, but to start with the objectives in mind. I want you to actually write those out, write out what your objectives are. When they first get to your site, what do you want them to go through, what do you want them to know, what do you want them to see, feel, know, like, all those things, what do you want? And then second, I want you to write out what do they want? What are they looking for? What are they looking to find? What are they looking to have answered? Just think through all of those things, why are they on your site? What do they need to hear from you? And those are gonna be their objectives. For example, if you are a photographer, your objectives is to show off your work, show off your personality, show what you can do and have them, obviously, book you. What their objectives are, they’re looking for someone, does this person have the style that I like, what is their pricing, are they within my price range, is it gonna be easy to start this relationship? And the second thing I want you to think about is I actually want you to think about their obstacles and what things they have to overcome in order to get that result. Your objective of them contacting you or their objective of them feeling comfortable enough to contact you. think about that know, like, and trust factor that they need from you. Some questions you can ask, what needs do they have? What doubts or obstacles do they have to overcome? And most importantly, what info do they absolutely need in order to move forward and take action? Then we wanna think about number three, how do we get clear on what action we want them to take? So many people do this and so many people get frustrated by this is that what is the next step? What do I need to do? Every single page, you have to have a purpose for. Where do you want them to go next? When you’re mapping out these pages, you wanna remove all distractions and kind of think does everything on this page serve the purpose to get them from A to B, right? Whatever those objectives are. Does everything on here have to be here? Because if there’s anything in here that is too distracting, IE social media, that are gonna send ’em somewhere else, take ’em out. If they are moving from what you want them to do, guess what? Most times they will do the other thing. If you really want them to contact you, make sure that there’s a really clear call to action and make it easy. Don’t make the button not look like a button. (I feel like that’s probably a conversation for another day.) Be thinking about, am I stopping them from what I really want them to do? Be clear and tell them what steps to take next. 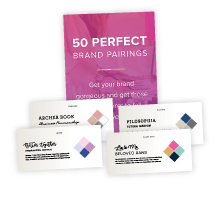 I have something really cool for you, I have a free download for you, it’s a checklist on what you need on your website. 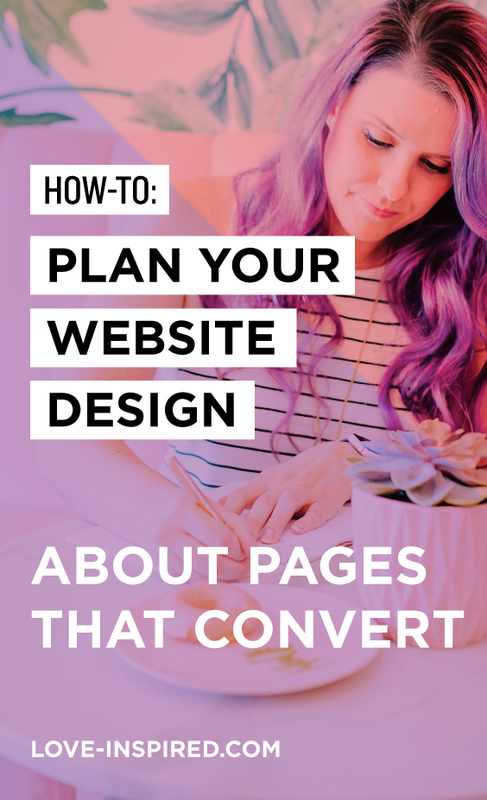 I have ’em broken down by page, what kind of pages you probably want on your site, and what the strategies are for each page within the type of site that you have. 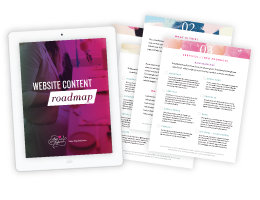 To grab that, go to http://lovins.co/roadmap to grab the website content roadmap, totally free and it’s totally awesome, you’re gonna love it. You wanna print it out and you can check off all of the awesome things that should be on your site. Thank you so much guys, this has been amazing, so join me next week where I’m gonna be talking about the homepage, I’m gonna be breaking it down, telling you what you need to know, and making yours amazing. Bye guys. 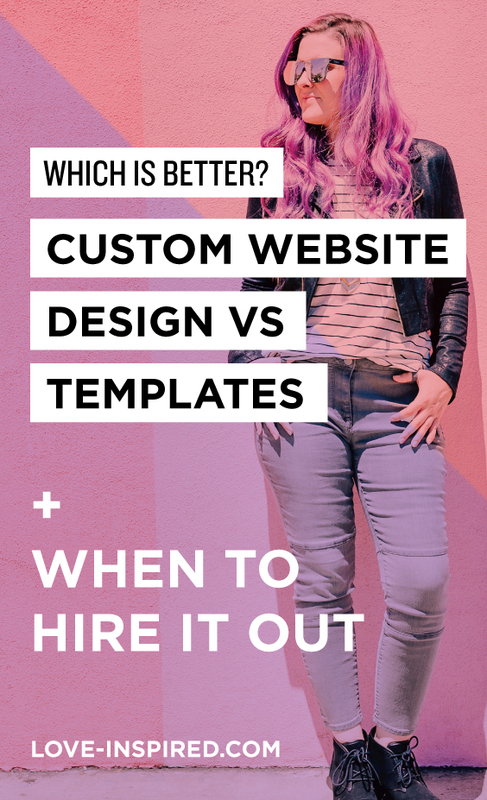 How to know if it’s worth investing in a custom designed website by hiring a website designer or website developer, or to purchase a template website and DIY, for either WordPress or Squarespace. ROI 9 Return on Investment. 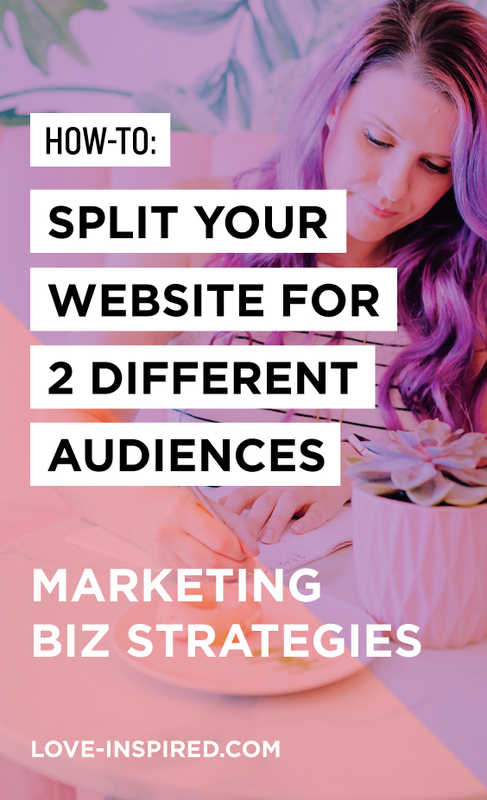 In this video, I’ll teach you how to either SPLIT or COMBINE your small business websites if you find yourself with 2 different audiences. I also teach you how to effectively use your current site to grow the new one.